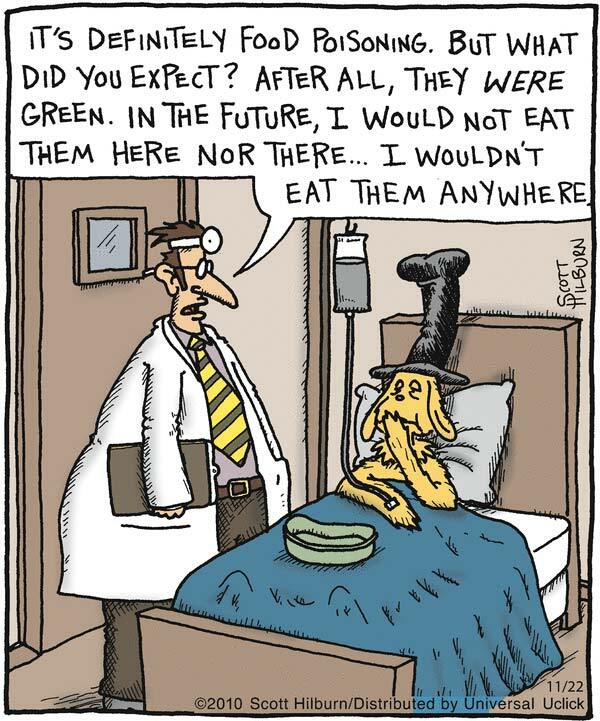 No one wants to get sick from contaminated food. From farmers to retailers, here is what you need to know about how the food industry and government agencies work to keep you healthy and trust the food you buy. Contributing writers Susan Leaman and Diane Wetherington have extensive experience and knowledge in the food industry. Susan works with companies and associations to develop solutions that address produce-related food safety issues; and Diane is CEO of iDecisionSciences, LLC, a provider of specialty crop consulting services, and iFoodDecisionSciences, Inc., a software solutions provider for the food industry. One of the most important underlying considerations to the food industry supply chain is food safety. 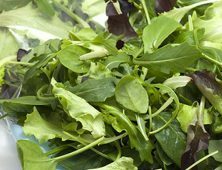 As consumers, we are familiar with the more popular food recalls such as Listeria monocytogenes, pathogenic E. coli, and Salmonella—but here is a look at the bigger picture. Industry experts Susan Leaman and Diane Wetherington provide an overview of what food safety encompasses in the food supply chain. Food is considered contaminated – or “adulterated” in official jargon – when something potentially harmful is found in or added to it. Food contaminants are categorized in three ways: chemical, physical, or biological. Chemical contaminants, such as heavy metals (e.g., cadmium, arsenic, lead), may occur naturally in the soil or as a component of an agricultural chemical and are taken up by the plant as it grows. Chemical contaminants may also be deposited in the soil and/or plants from the surrounding environment (i.e., from a nearby landfill or the smokestack of a nearby factory). Foreign material, such as metal fragments, stones, rodents, bugs, hair, etc. in a finished food product is considered a physical contaminant and can contaminate the food crop during harvest and transportation or when it is in the processing or manufacturing facility. Biological contamination is what we most often hear or read about in the news. The most common biological contaminants are microorganisms – food safety professionals call them human pathogens and the rest of us commonly call them “germs”. Most of these germs are undetectable by smell or any visible signs caused by spoilage that may make the food inedible. You wouldn’t choose to eat a mushy apple over a crisp one, for example. But this does not necessarily mean the food is unsafe. However, some microorganisms such as parasites, viruses, and bacteria when consumed in a large enough amount, can make you sick. A sickness caused by eating food contaminated with parasites, viruses, and pathogenic bacteria is called foodborne illness. These germs can be introduced into food at any point from production through food preparation and delivery. For example, wildlife may enter a field and defecate on the crops, manure can be improperly composted, trucks may have contaminated cargo areas, and workers preparing food may have unclean hands. Any food that does not receive a treatment to kill harmful germs is more susceptible to contamination. Unpeeled, raw, or undercooked foods are most susceptible to germs due to inappropriate handling of raw food and cross-contamination onto cutting boards, knives, and kitchen counters. Cooking or pasteurizing food for a specific amount of time at a threshold temperature kills human pathogens. Proper kitchen safety is also important. Which foods have been associated with foodborne illness outbreaks? In 2013, the Center for Disease Control and Prevention (CDC) published an assessment of the foodborne illness outbreaks that occurred in the U.S. between 1998 and 2008 (Painter, 2013). The agency evaluated the outbreak-related data by the type of hazard (bacterial, chemical, parasitic, and viral) and food deemed responsible based on the outbreak investigation, and found that 34.2% were attributed to contaminated vegetables, 13.8% to dairy products, 12.2% to meat, and 11.7% to fruits and nuts. The majority of foodborne illness outbreaks were caused by viruses (57%) and bacteria (38%) while parasites and chemicals caused 2% and 3%, respectively. For the curious, the CDC’s foodborne illness outbreak online database (FOOD tool) is available here, and the U.S. Food and Drug Administration (FDA) also publishes a record of foods recalled due to contamination. 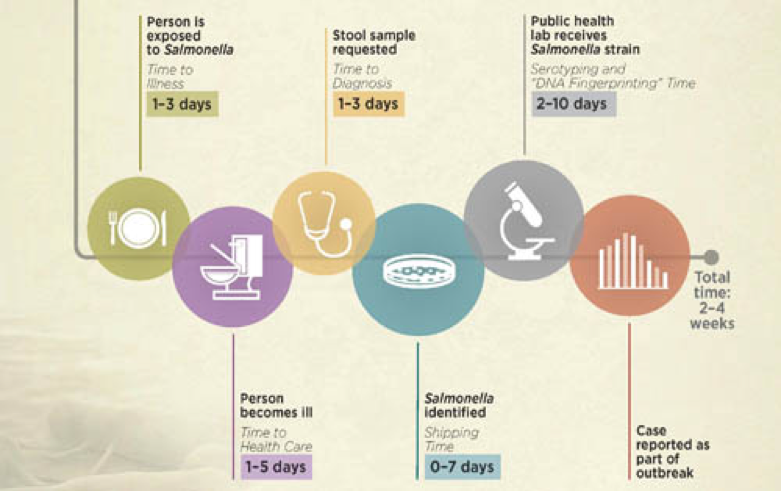 So are foodborne illness outbreaks really increasing in frequency? Not necessarily. 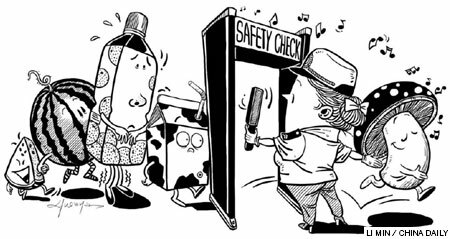 We are more aware of food recalls because of reporting systems, testing programs, and the ability to detect pathogens. 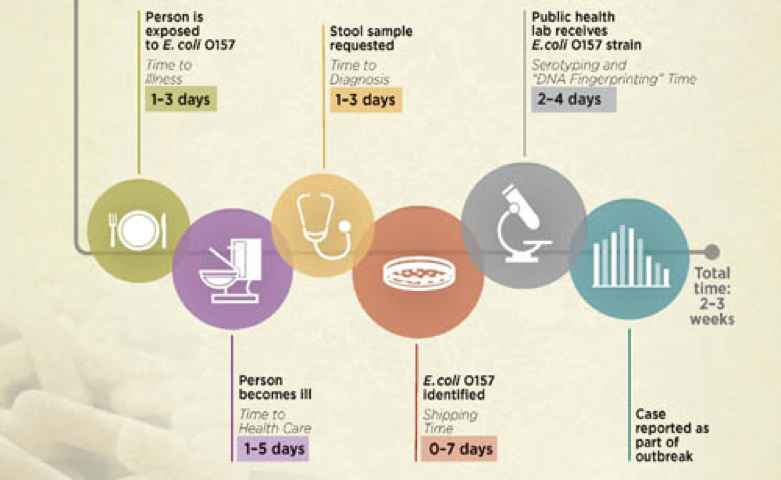 Communicating foodborne illnesses through reporting systems that link health care providers and public health agencies have greatly improved since the mid-1990s. Surveillance of the food supply by government agencies and product testing by food manufacturers has also increased, leading to more product recalls. Finally, technological advancements have made it possible to detect pathogens in lower amounts. What is the food industry doing to prevent food contamination? There are various stakeholders that play a role in ensuring the safety of our food supply. Although you may occasionally read the news of people who knowingly put contaminated food into commerce, by far, the vast majority of those involved in producing our food are very concerned about the safety of consumers – after all, their family and friends eat the food, too. At the farm level, numerous food safety guidelines or good agricultural practices (GAPs) have been established by industry with the help of trade associations, government agencies, and other food safety experts. GAPs address the use of water, soil amendments, tools, and equipment; the hygiene of field personnel; what to do if a field floods or if animal feces are found in the field during harvest; and many other circumstances that compromise the safety of the crop. Some of these guidelines are the basis for voluntary food safety programs; some are enforced under mandatory programs (e.g., California Cantaloupe Safety Standards) while still others are mandatory after a company voluntarily joins the program (e.g., Arizona and California Leafy Green Handler Marketing Agreements). Companies that pack, process, or manufacture foods implement various practices, processes, and procedures have been required by law to implement good manufacturing practices (GMPs). Although the rules have been updated over the years, current GMPs cover facility design, conditions of the grounds around facilities, cleaning and sanitation of facilities and equipment, pest control, worker hygiene, workflow, and other potential sources of contamination. There are also various international non-profit organizations that maintain food safety schemes established by working groups and committees of industry, government, and academic food safety professionals. The Global Food Safety Initiative is one of these international organizations that certifies food safety schemes against a set of industry-derived standards. Farms and food manufacturing companies subscribe to these schemes, often at the behest of their customers, and third-party auditing companies evaluate and score the manufacturer’s performance against the scheme’s standards. Since 2009, food manufacturing and processing facilities are required to be registered with the FDA and report when any microbial test results are positive. When microbial testing indicates that food is contaminated/adulterated with human pathogens, a recall is issued. In addition to food companies self-reporting contamination, the FDA routinely inspects food manufacturing/processing facilities, and if they find conditions that compromise the safety of the food (i.e., unsanitary conditions), the agency issues warning letters that are made public. Facilities then have an allotted amount of time to address the issues, and if they fail to do so, they can ultimately be shut down. This is exactly what happened in 2012 to a food manufacturing company that made organic nut-butters for Trader Joe’s. Based on numerous GMP violations, the company’s own product testing records, and the FDA’s microbial test results, the agency shut down operations after the facility failed to properly address the violations. In 2011, the Food Safety Modernization Act (FSMA) became law. The FSMA upgraded existing laws governing food manufacturers and processors, and more significantly, for the first time, included oversight of food production on farms. Prior to the FSMA, farms were not inspected by the FDA or the U.S. Department of Agriculture (USDA). Additionally, aside from a foodborne illness outbreak, government regulators were not authorized to inspect a farm. This means FDA regulators were unable to investigate the facilities, fields, coolers, food storage areas, etc., and to question the operators about their practices. 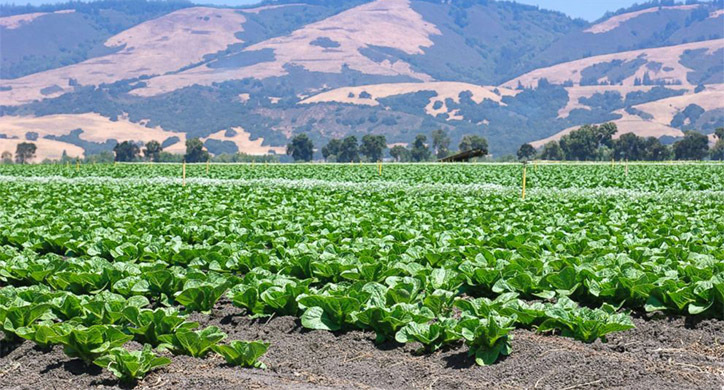 As part of FSMA, the FDA wanted to better understand how food is grown for every commodity. It was important for them not to make the rules so onerous that farmers would go out of business. Thus, the FDA visited farms, held public meetings to hear farmers’ and consumers’ concerns, and revised the rules they proposed based on the feedback from industry and the public. By 2018, the FDA will begin conducting both announced and unannounced inspections of farms. 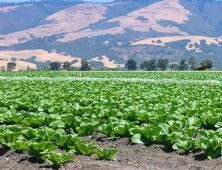 They will begin inspecting large farms (produce sales > $500,000) with inspections of smaller farms phased-in over the next five years. 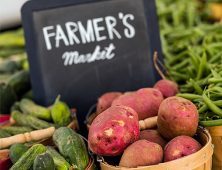 Farms making less than $25,000 are excluded from FDA inspection, and other small farms will have less stringent requirements if their food sales are less than $500,000, and 50% of their crop is sold directly to consumers or retail food establishments/restaurants. In 2011, the Food Safety Modernization Act (FSMA) became law. 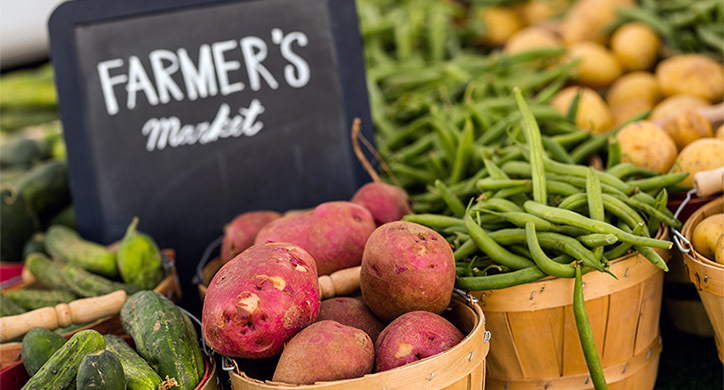 The FSMA upgraded existing laws governing food manufacturers and processors, and more significantly, for the first time, included oversight of food production on farms. Under FSMA, food manufacturers and processors will also be required to establish and implement a food safety plan and a supply-chain program that addresses how to reduce and minimize the potential for food to become contaminated from biological, chemical, or physical hazards and what to do when contamination occurs (i.e., corrective action procedures and product recall plans). As part of the food safety plans, food manufacturers and processors will need to verify that the implemented practices and procedures to control hazards and prevent contamination are indeed working. Verification procedures may involve testing raw or finished product and/or food production areas and equipment for microorganisms. And just like the new rules and standards for farms, announced and unannounced inspections of large food manufacturers and processors will begin next year with compliance deadlines phased in over the next several years for smaller companies. Joining the FDA in overseeing the safety of the nation’s food supply on the federal level is the USDA and the CDC. The USDA’s Food Safety and Inspection Service (FSIS) is the public health agency responsible for the safety of meat, poultry and egg products. USDA inspectors are on-site at meat production facilities to ensure that best practices are being implemented to reduce the potential for contamination. The CDC is the federal public health agency in charge of identifying and tracking foodborne illness outbreaks in the U.S. and assists other countries in doing so as well. Other government agencies that are involved in food safety are state and local health department and state agricultural departments. So what do you do if you think you had a case of foodborne illness? As illustrated in the timelines, it all starts when sick individuals go to the hospital or their doctor or contact their local health departments to report illnesses that they believe occurred from consuming contaminated food. These reports, often accompanied by microbiological testing, are then relayed to state health departments and the CDC. 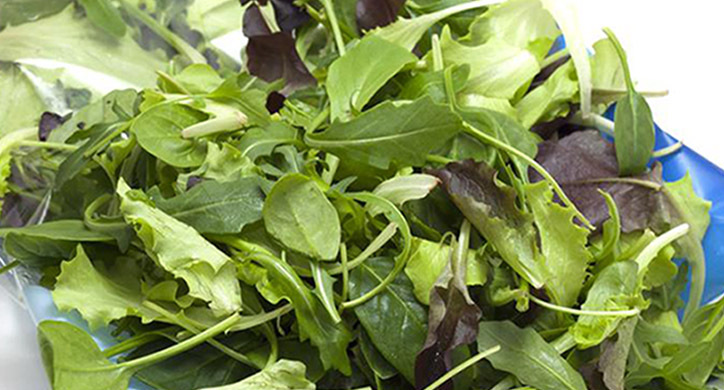 The CDC collaborates with the FDA and USDA in foodborne illness outbreak investigations, helping to identify what caused the outbreak and alerting the public when a source is identified. 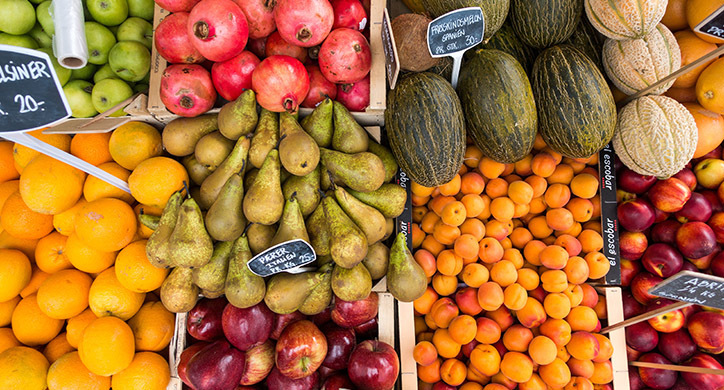 Methods for connecting foodborne illness cases to one another and the food source have vastly improved over the past decade resulting in increased identification of foodborne illness outbreaks. This phenomenon, not higher risk of illness, is the primary reason you are hearing and reading more about foodborne illness outbreaks. The reality is the U.S. has one of the safest food supplies in the world! Food producers in the U.S. are continuously subject to third-party audits to stay certified under particular food safety schemes, to government inspections—both announced and unannounced and to buyer inspections to assure the safety of our food supply.